Obedience isn't something we usually talk about, unless referring to children or pets. It seems to be cast into that "no longer necessary" pile once we cross that invisible line between childhood and adulthood. 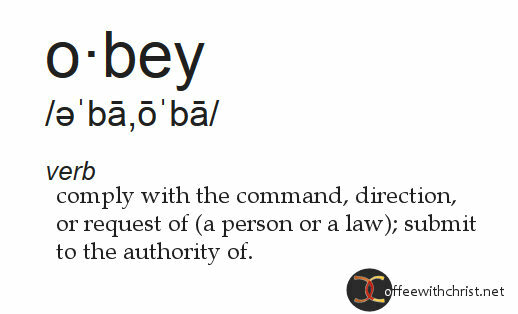 Sure, we might "listen" to our boss, or "follow" instructions....but obey someone? Nope. I'm a grown up now and I don't have to! We are dropping the word from marriage vows (remember when we promised to love, honor and obey? ), dropping it from our parenting responsibilities (how many children have you seen in the store deliberately disobeying their parent(s)?) and even dropping it from our relationship with God. The "O" word is becoming one of those dirty little words that nobody wants to talk about, much less do. Why is obedience so important? Without a chain of command there is chaos. The parent, who is supposed to be in authority, places their child in a position of uncertainty and even danger by not expecting obedience from the child. An employee that refuses to obey the employer does nothing to strengthen the business, rather their actions bring harm to the whole. And a servant of Christ that doesn't obey Him demonstrates his or her lack of love for Him. Don't believe me? Read John 14:15. It goes against our flesh nature to put ourselves under the authority of another. It is the aspect of ourselves that Satan has exploited since the garden when he enticed Eve to disobey God. (Genesis 3:1-4) And yet obedience is one of the ways God tells us demonstrate our love for Him (John 14:15). The Bible is full of stories revolving around obedience and disobedience. (Jonah, Samuel, Saul (both Old and New Testament)) Paul instructed Titus to, "Remind (the people of Crete) to be submissive to rulers and authorities, to be obedient, to be ready for every good work..." (Titus 3:1) Obedience is an important aspect of a real, true relationship with Christ. I encourage you to take the time to study God's word. It is impossible to obey if you don't know the instructions. Ask God to reveal the area of your life that you most need to submit to His authority. Then pray for the Spirit to guide you in your obedience. I promise you that He has your best interest at heart and while it may at times be hard to deny yourself the reward will be worth it once all is said and done. God’s Word has awesome power! He spoke the Universe into existence. (Genesis 1; John 1:4; Hebrews 11:3) Ponder that for a moment. 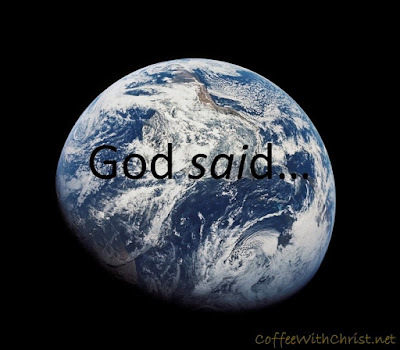 God didn’t ‘do’, God ‘said’; He didn’t lift a finger, wave His hand or even blink His eyes; the world was created because He said for it to ‘be’. Can you imagine what kind of power that is? He didn’t have to say it twice, either. Once, and done; literally. Funny how His Words were obeyed, until man came into the picture. Then man questioned and disobeyed. Who did ‘we’ think ‘we’ were to ignore what God said? Who do we think we are now? How many times do you feel God speaking to you and you just brush it aside? Or question it? Or blatantly disobey it? Have you struggled with an idea or command God’s given you, wondering if He really meant what He said? 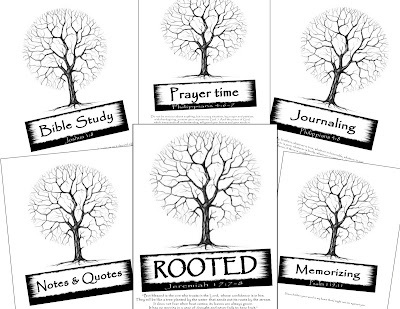 Do you have difficulty in finding time to read your Bible? Do you doubt the promises He makes in Scripture? I am not a country girl. My father was a Navy man and I spent my younger years moving from city to city, always near an east coast port, and never anywhere near the country. I never saw animals roaming in a field and the closest I have ever come to seeing a shepherd lead was during an exhibition at Bob Evans Farms. To say that the comparison of God to a shepherd was lost on me is an understatement. And yet David gave the name Jehovah Rohi to Him (Psalm 23), Isaiah tells us that the Jesus will care for us like shepherd (Isaiah 40:11), and even Jesus gives Himself the title of shepherd (John 10:11). So what's so great about a shepherd? In the first century, it wasn't. Plain and simple -to be a shepherd was the lowest of the low. They spent their lives in the fields with the sole purpose of tending their flocks. They spent their days in the dirt, hot and sweaty and their nights either sleeping in the field or in a tent. Their testimony was not admissible in a court, Pharisees considered them unclean, and they were often thought to be thieves (even if there was no proof). Seriously? Jesus called Himself one of these? And then you delve a little deeper....and you see the beauty in the title. A shepherd devoted his life to his flock. He didn't abandon them, he never left them, he was there from the moment a lamb was conceived until their death. He ate with his herd. He slept among his heard. He protected his herd. Isn't that just like our God? To take as His name what so many look down upon and turn it around and show the beauty in it? You see, Jesus isn't about the crown. He never set Himself up as better than anyone else. Instead he devoted His ministry on earth to reaching out to those who needed Him most - the broken, the lost, the sinners, the lowest of the low. He emphasized that they way to greatness was to live as the least. (Luke 9:48, Matthew 23:11) His entire ministry was about service to others. Isn't that what a shepherd does? 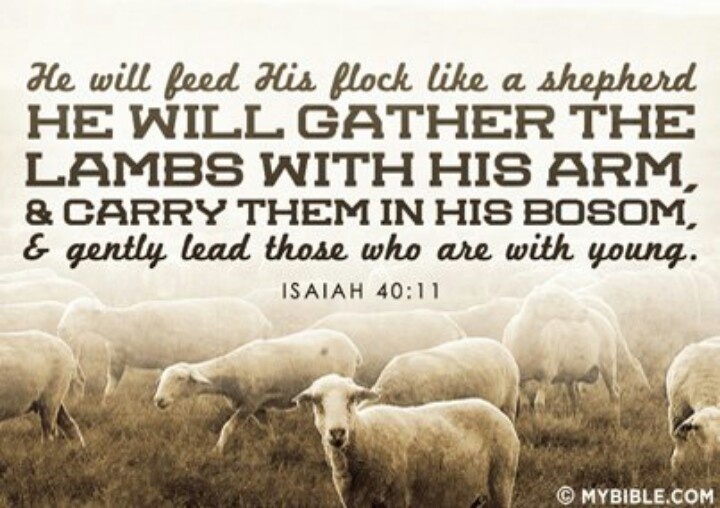 Serve his flock? Am I a sheep? You bet I am! I seek to know His voice and I will follow Him where he leads, trusting Him all the way. How about you? The Bible clearly states that we should be teaching others the Good News. (Matthew 28:19-20, 2 Timothy 1:6, Titus 1:9, Hebrews 5:12, 1 Peter 4:10) But so many of us don’t. We may witness to others, or share our testimony—and that’s wonderful—but we don’t actively teach the Gospel. We busy ourselves with us. We need to learn more, we need to focus more, we need to… But it’s not about ‘we’ [us], it’s about them. Why do we keep studying the same Scripture we can already quote? We remain immature in our studies, and consequently, our faith. We’re too comfortable where we’re at to push ourselves further, by teaching others. What good is the knowledge we’ve gained if we’re not 1) using it in our lives by a) living our lives according to Scripture b) understanding it to 2) teach others? We know the basics—faith, salvation, eternal life. We need to be sharing these basics with new Christians, and non-Christians. As we share these basics, in turn, we will grow and understand more ourselves (undoubtedly questions from our ‘students’ will cause us to dive deeper into these basics and teach us something new). In order for us to continue our growth, we must move beyond these basic teachings (and just rereading the Bible yearly) to a more complete understanding of what the Bible says. (Hebrews 6:1-3). 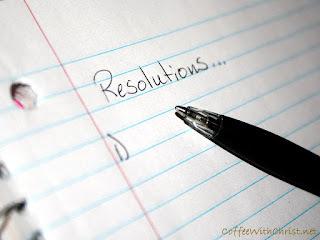 Happy New Year dear readers! I, for one, am glad to see 2015 end and I look forward to what God has in store for 2016. Normally I am not one for looking backwards. What's done is done and there isn't anything that can change it. 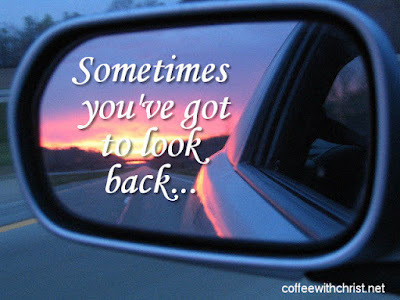 But sometimes......... sometimes you've just got to look back. Paul recognized this need. In Philippians chapter 4 he spends several verses advising the readers to find joy in everything, and to focus on the good. (Philippians 4:4-8) These are wonderful verses and would obviously be a blessing to anyone who implemented them. But Paul seemed to know that even with the best of intentions people stumble. And sometimes when we stumble things begin to look bleak. according to his riches in glory in Christ Jesus. Sometimes we need to be reminded of just how much God has supplied for our needs. Sometimes we get lost in the troubles, the darkness, the pain of this world and lose sight of this truth. I know there were many times in 2015 that this was true for me. And I am sure that there will probably be a few times in the year to come that it could happen as well. My pastor keeps a special chest in which his family saves "touchstones" to remind them of times that they have been blessed. Items range from receipts to letters to candles. Every member of the family can tell you exactly what the item represents and how God came through in that particular situation. I keep a journal. Nothing fancy, just a 3-ring binder with some tabbed dividers. 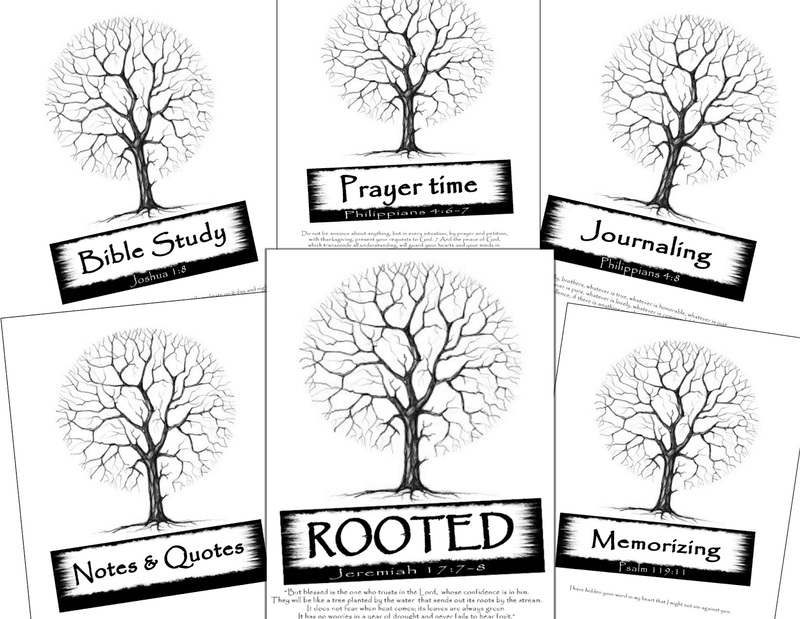 Inside I record scripture that speaks to me, prayers (and how god answered them), copies of emails that were sent to me by complete strangers with just the right words at just the right time, and so much more. When I need a reminder of God's provision for me I open it up and flip through and am comforted by how my God looks after all of my needs and the needs of those I love. As a special New Year's gift I want to share some starter pages for you to create your own journal. It is nothing fancy, just a few divider pages for things that I wanted to include in my own journal. You can see a sample below. Click here to download the PDF file. I pray that it helps you in those moments where you need to look back to remember that God's got this!